Rothco City Camo Paratrooper Fatigues Feature Two 2'' Waist Tabs, Drawstring Bottoms And Reinforced Seat & Knees. In Addition, The Fatigues Feature 8 Pockets To Carry All Your Gear And Have A Zipper Fly. 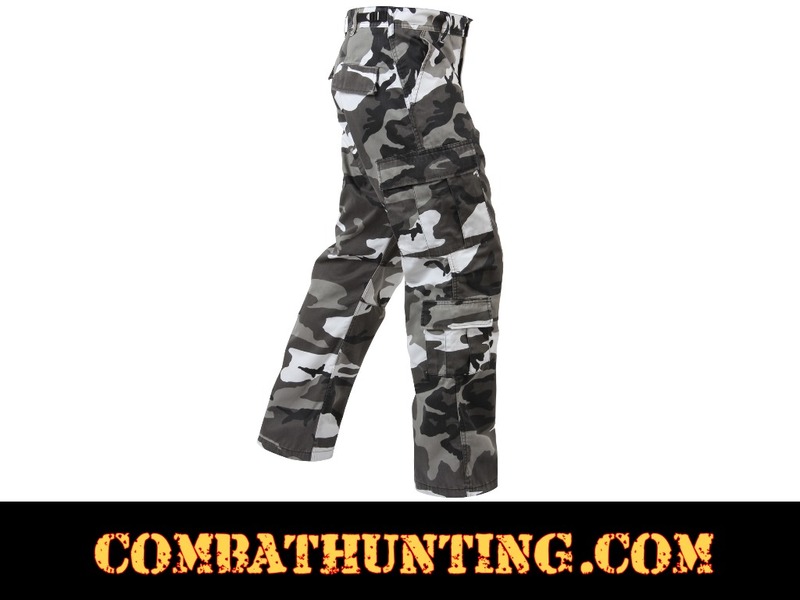 Available In Over 12 Great Colors Including Woodland Camo, ACU Digital, Khaki, and More! Colors and Sizes Ranging From XS To 5XL.